One of the best things you can do as a student is to take private lessons with a qualified teacher. You can receive individual help from someone who plays your instrument well and has experience working with students. Ask your music director to recommend a good teacher for you. School programs often have a list of private teachers they already use. Many music stores, colleges, and universities offer private lessons as well. The internet is a wonderful source of information on any topic. 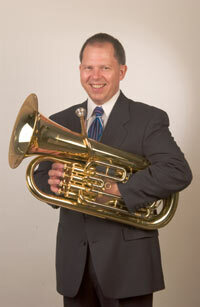 Online help like the Euphonium articles on my website and those on other websites can provide valuable assistance, but they are no substitute for studying on a regular basis with a qualified private teacher. Students often wait to see if they like playing their instrument before beginning lessons. This is not as good a plan as it sounds. If you take lessons first, you will enjoy playing much sooner because you will learn correctly from the start and avoid many problems that can be discouraging and frustrating. Make the investment in your musical future and take private lessons!